Red Emperor is a stylish Chinese restaurant located within the Southgate precinct featuring authentic delectable Chinese gourmet dishes, an excellent wine list, great ambience and wonderful service. Each dish is carefully prepared by talented and professional chefs, using both traditional and modern methods of Chinese culinary art. Our host for the evening was Red Emperor’s manager for over 20 years, Christine. Delightful, full of passion and a brilliant sense of humour, Christine made our visit to Red Emperor an absolute highlight. The guys at Red Emperor have truly mastered the art of pork roasting. The pork belly is succulently roasted to retain a porky juiciness, achieving a healthy layer of melt-in-the-mouth fat in the process. The feature item is the crackling which possesses the ultimate crunch and acts as the ideal partner for the tender pork meat. Coupled with beautifully made hargow and steamed prawn, coriander and water chestnut rolls, this starter was a true beauty. One of our favourite dishes from our evening at the Red Emperor, the lusciousness of these prawns beggared belief. The dish was further highlighted by the noodles which retained the natural sweetness of the prawns and exhibited a pleasant firmness. Lightly flavoured by the aromatic garlic shoots and the deliciously spicy XO sauce, this dish boasted the characteristic charred flavour that normally accompanies wok-tossed items. It only takes one bite of Red Emperor’s Sichuan smoked tea duck to understand why it has become one of the restaurant’s signature dishes. Simply put, the dish is all about the duck’s thin crispy skin – achieved through a rigorous process of pumping air into the duck’s body, then spreading boiling water over the skin before drying and roasting the duck. The tender duck meat, although delicious, plays an ancillary role in this affair with the moreish duck skin taking centre stage with its beautiful smoky tea flavour. Along with the hoisin sauce mixture and fluffy butterfly shaped steamed buns, this dish is sensational and a definite must try. Affectionately called “rich man’s fried rice”, this was perhaps the most indulgent fried rice we had ever eaten. Combining generous morsels of lobster and only using egg white, the fried rice was beautifully cooked with each grain of rice retaining its integrity and the individual flavours of the premium ingredients shining through. A classic Cantonese dish, the Red Emperor version of “Foong Sha” baked chicken consisted of a whole chicken that had been marinated overnight with smashed ginger, herbs and spices then baked and finally, served de-boned with lotus root chips and garlic sauce on the side. Continuing the trend for the evening, the chicken was beautiful. Of particular note was the tender chicken’s velvety texture and crisp skin. The beef was beautifully battered and doused with liberal amounts of vinegar and plum sauce. It was, as expected, a rich combination of flavours and one which provided the requisite balance of sweet, salty and savoury notes to please the palate. Only the most tender and flavourful section of the shoots are hand plucked and sorted by the kitchen. We adored this vegetarian dish. The pea tips were immensely flavourful and possessed a taste reminiscent of snow peas themselves, but with a grassier, fresher flavour that is unique to the plant. This dish was further enhanced by the addition of goji berries. A simple dessert that amalgamated the best aspects of banana fritters and red bean pancake, the pancakes were folded over delicately sliced banana and luxurious red bean paste. The pancake had a pleasant chewiness which contrasted nicely with the soft banana and its crispy exterior. It was a simple but truly superb dessert. 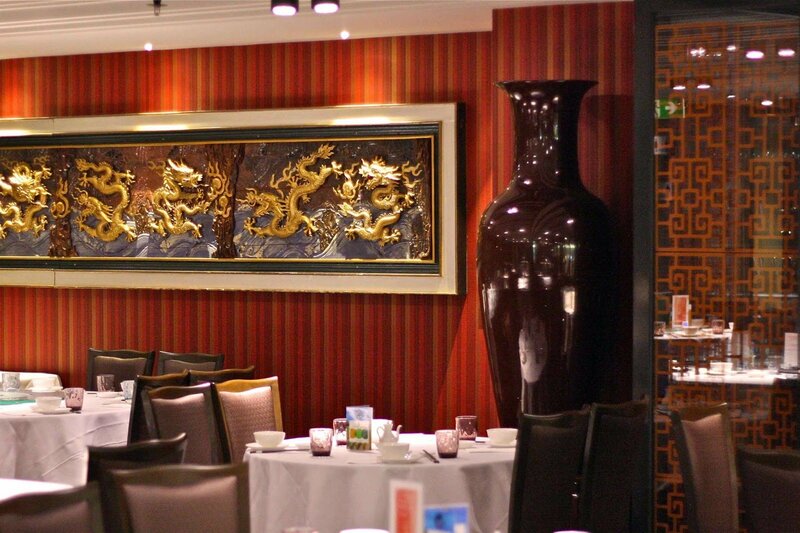 Red Emperor offers fine Cantonese cuisine with dashes of flavour from Hong Kong and other mainland regions. With expertly prepared dishes that are presented to the highest possible standard, it is no wonder Red Emperor has long been considered one of Melbourne’s best Chinese restaurants.